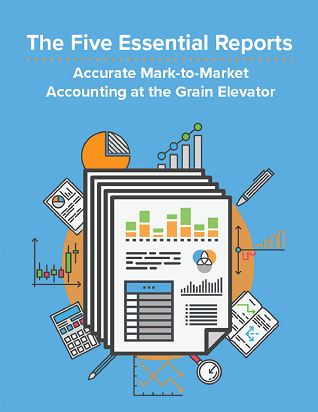 Download the eBook: "The Five Essential Reports"
This eBook is an excellent reference manual for establishing your Mark-to-Market accounting routine. Review different types of realized and un-realized gains and losses. Quickly differentiate between priced and un-priced positions on your GHPR. Gain a better understanding of your Month-End Commodity Statement sent by your Broker.